Though there’s something fascinating to me about geometry, calculus, and physics, my favorite science is definitely astronomy. The vast, incomprehensible distances, engineering challenges, and complexity of the systems involved all hold a particular allure that is hard to aptly describe. Some of my favorite Twitter accounts belong to astronomers (particularly @TanyaOfMars, @AstroPartiGirl, @LoriKFenton, @StarzanPlanets, and @AstroKatie among many, many others), and it’s amazing to hear them discuss the newest, least-understood, or most important discoveries in the science. 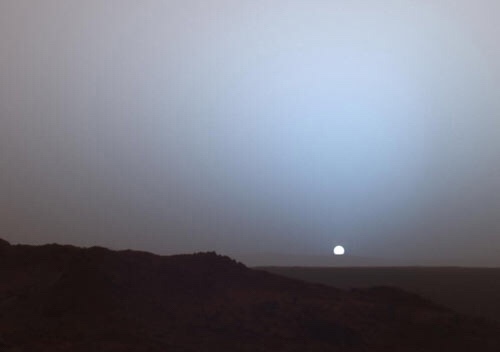 Every day my feed is filled with awesome pictures from other worlds (like this one, taken from Mars! 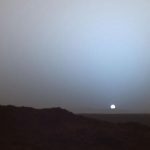 Image Credit: NASA/JPL/Texas A&M/Cornell) and other exciting space journalism. About a year ago I was fortunate enough to receive my first telescope, and more than anything this entry is about the first time I used it. Often in my life I wondered what inspired men and women to journey over the next hill, to voyage toward places unknown, to discover and chronicle the world. I understand the joy of adventure, much of my youth spent camping or backpacking through unfamiliar (to me) terrain, but it was always a planned event with a limited duration; nothing like what explorers and pioneers of old did. When I first looked out into the cosmos with my own eyes, my understanding of the world changed. I don’t say that lightly, either. I had trained my telescope on the moon, and with one blinding look, everything was different. I had of course seen pictures and videos of the moon, wide-shots and close-ups, detailed panoramas and haunting landscapes, but the experience of seeing those images, so far removed from my own experience (through a camera, then into print or broadcast via internet), couldn’t prepare me for the emotional rush of actually seeing the moon, that close-up and with that much detail, with my own eyes. I saw craters and rocky plains, shadows and bright, reflective regolith. In that instant I saw the moon, as if for the first time. Though the reflected sunlight was blinding, the whole scene was so beautiful I couldn’t bear to look away. It was a magical, transformative experience. Even now, looking back, words fail me. I suddenly understood the drive to explore, to learn, and to know the natural world that had gripped so many explorers before me. Through my eyepiece it looked like I could just reach out and touch it, that it lay just beyond my fingertips, and if I stretched with all of my might I may just get to feel it for myself. Since that first time I have seen galaxies millions of light-years away (through a much bigger telescope), followed the continuing paths of our probes, and felt unending awe and gratitude for the cosmos at large. What I feel, this connection and wonder for space, is possible to have for any and every other aspect of the sciences, and I am so happy for that. My wife loves restoration and sustainable ecology, leading hikes and showing others how to responsibly enjoy nature. Others love caves, or mountains, or the ocean floor. 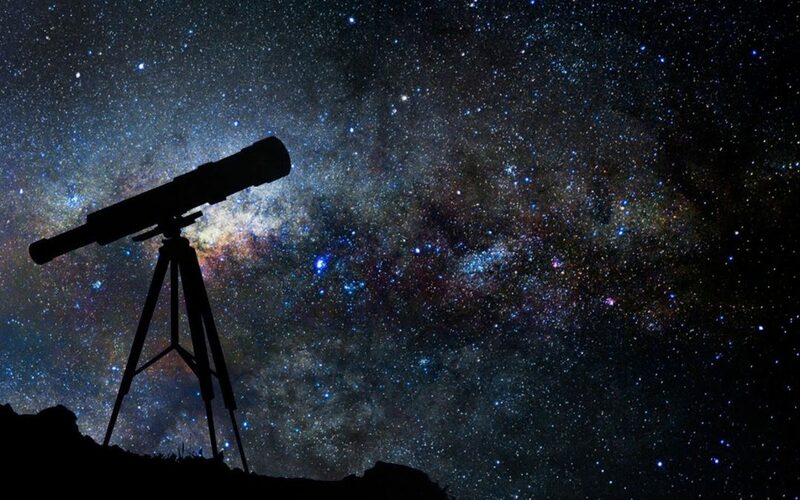 The search for truth and understanding in our universe drives so many, and while I would hardly even consider myself an amateur astronomer (I can’t even correctly polar-align my telescope), I feel connected to the wider scientific community – sharing in that common goal of rich discovery. There are some moments, some feelings, that are absolutely locked in my memory, times when I felt the entire world move. Seeing the moon in her half-full glory for the first time was one such moment, and it’s a memory and experience I will treasure for the rest of my life. I hope everyone is able to find something that can bowl them over like the moon did to me. Life is amazing, and there’s so much of it to explore.